This site is still under development. May change between your visits! What is Natural Farming (NF)? "Natural Farming is an innovative new method of farming that utilizes the nature's powers for maximum performance rather than human intervention. Natural Farming uses natural materials instead of chemicals as its unique inputs. Materials are locally available and cheap, and the farming inputs are made by the farmers instead of being purchased from the market; thus lowering cost for the farmers and converting waste into resources. It does not use herbicide, pesticide, antibiotic, hormones or other artificial chemicals. It also does not till the land with machines. 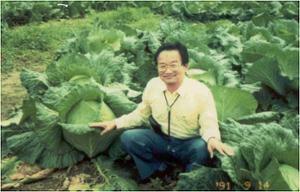 Natural Farming is practiced in over twenty countries, recognized of its strength to produce more at less cost. 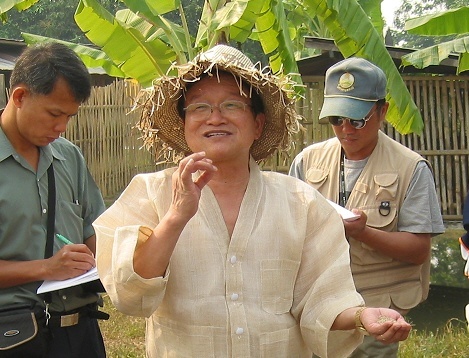 Being "farmer-friendly," it is also being used as a tool to improve the living of the poor farmers in the world." Use of imported or artificial microorganisms Uses “indigenous" microorganisms or IMOs Safe, cheap and easy to make and very effective. It strengthens the crops with out being affected from all kinds of weather. Mechanical tillage (conventional farming with deep ploughing) Use of Nature’s Tillers (aerobic and anaerobic bacteria, fungi, mole crickets, earthworms and moles etc.) Soil clusters that are lumped in aggregates are fostered, which will provide air and good water drainage, a good habitat for microorganisms and other soil biota. Tilling land arduously (laborious/ strenuous) every year Grass mulching as remedy for weeds (using brown rice vinegar) Holds moisture, provides good habitat for microorganisms and prevents soil erosion. Using natural inputs helps dwarf the weeds. Expensive state-of the art technology needed for treatment facilities in livestock management The use of microbes (IMOs) as simple and cost effective in livestock management All wastes are recycled and made use of for cost-cutting techniques. The livestock housing itself is a waste treatment facility, fertilizer producer and feed mixer. Planting more crops in a limited area Planting with proper distance in crops and plants More yield because it emphasizes on formless nutrients such as sunlight and air. The use of pesticides to kill pests Use of natural inputs to “distract" the pests from the fruits/crops (Eg. 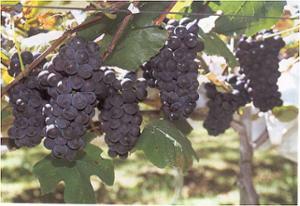 Fermented Fruit Juice) Pest attractants are placed away from the fruits to divert the pests. It is cheaper and it focuses more on co-existence and co-relation with the pests. 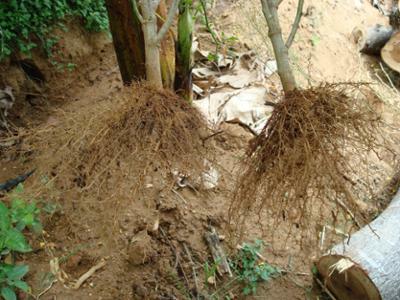 What are Natural Farming inputs? All Natural Farming inputs are made by the farmers utilizing only natural and locally available materials. 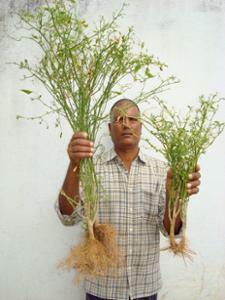 These inputs can increase yields better than the harmful commercial fertilizers and pesticides. What is Nutritive Cycle Theory ? The Nutritive Cycle Theory states that plants and livestock need different nutrients during different stages of growth. Like humans, plants also need different kinds of food at different stages. Just as a baby can only eat baby food, young plants or animals can only be fed with nutrients that are appropriate for their age. The Nutritive Cycle guides farmers in obtaining the best results from their crops and avoiding disease to their crops through proper nutrient management. Indigenous Microorganisms (IMOs) are organisms that have lived in harmony with the soil in a particular region. Microorganisms decompose complex organic compounds such as dead bodies of plants and animals and wastes into nutrients, making them easily absorbable by plants. They can create compounds such as antibiotic substances, enzymes and lactic acids that can suppress various diseases and promote healthy soil conditions. 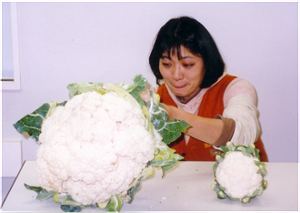 IMOs are used primarily to create fertile and healthy soil condition that is ideal for farming and to prevent plant diseases. The microorganisms that have been living in the local area for a long time are best for farming. What are Natural Farming strengths and benefits? Natural farming respecting the natural cycle of life is more than a farming technique. It is a philosophy, a new economics and a way of life.Natural Farming is also envisioned so as to contribute to the alleviation of poverty, disease and environmental destruction by providing an alternative means of livelihood and food production.As a farming method that goes back to basics using materials from nature and without force or chemicals, Natural Farming guarantees its farmers healthy and strong products needed to provide for their families and society. 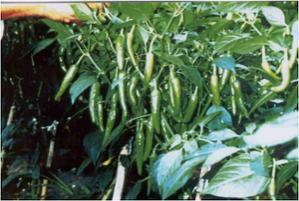 How to promote vegetative growth and increase the volume and size of crops? 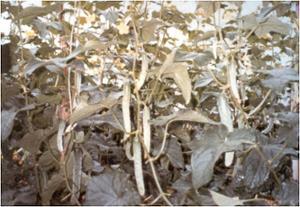 The following treatment is used to promote vegetative growth and increase the volume and size of crops. How to promote ripeness and enhanced sweetness for fruits? 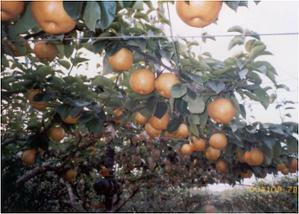 The following treatment is used to promote ripeness and enhanced sweetness for fruits. How do natural farmers control pests without using pesticides? How about poultry (and livestock) welfare? The aim of modern poultry's is to attain efficiency and productivity that will turn out the highest profit. However, this comes with a total disregard for the chickens’ quality of life. They are raised in narrow cages under artificial lighting and heating, not to mention fed with chemicals and medicines. They are seen as mere tools of production and profit, not as living things to respect. How to raise poultry (and livestock) with no smell, no cleaning and disease free? The NF chicken housing (e.g.FLOOR) is designed in such a way that there is no bad smell, no emission, no cleaning needed, and no disease. 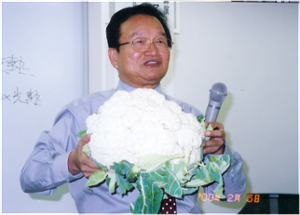 The secret is in the use of indigenous microorganisms (IMOs) formulated by Dr. Cho.The microorganisms on the floor bed will break down the chicken feces so that there is virtually no offensive odor produced. 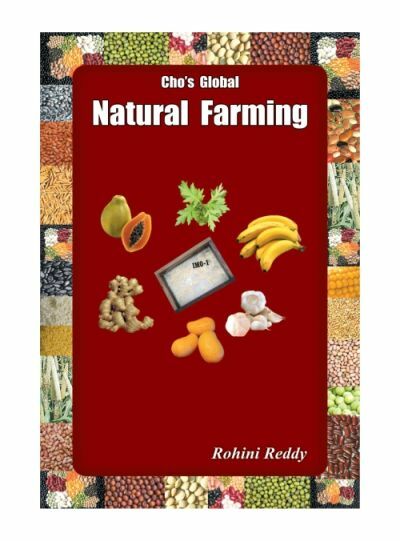 How widespread is Natural Farming?